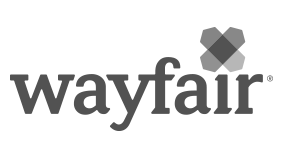 Wayfair is seeking an analytical, highly quantitative, and team-oriented individual to join the Pricing Catalog Strategy & Operations team. Who we are: Leveraging savvy business acumen and analytics, this team powers data-driven solutions for management of Wayfair’s billion-dollar P&L . Collaborative efforts across business partners and data science fuel creative problem solving and tactical implementation. This tight-knit team has a big appetite for bold ideas, a strong bias for action, and provides a distinct opportunity to drive high impact decisions with unique executive-level visibility. Analysts deep-dive into vast, proprietary datasets, constructing scalable models and processes that power strategic initiatives. Engagement with cross-functional partners as a thought leader empowers analysts to harness data insights and steer high-impact decisions. Build and maintain the proprietary dynamic pricing and product exposure systems, a highly complex and powerful set of algorithms, data structures, and business logic that optimizes millions of products on a daily basis and have a direct impact on how our products are displayed across our site. Intellectually curious, high energy, with a strong work ethic and a desire to work in a fast-paced, high stakes team environment. Technical in nature; Advanced Excel skills and prior experience or interest in learning SQL and other programming languages.